Last quarter is inevitably here. The time when company leaders, from project managers to department heads will prepare a summary of their yearly performance. Answering whether the yearly objectives are still valid, whether the sale quotas were done. And looking slowly into next year plans. If you are involved in preparing such business review presentation, here are a few suggestions how you can make the review visually engaging. 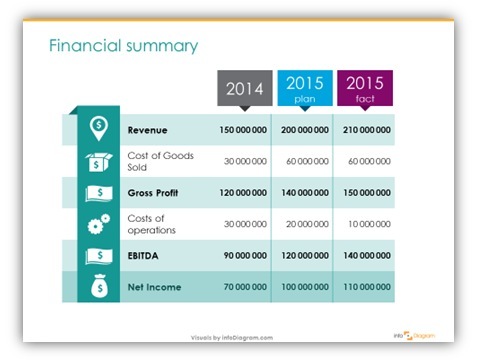 How to show financial results, sales or production quotas and other KPIs in eye-catching form. Presenting pure numbers can be attractive for the presenter who knows the story behind, but less engaging for your staff. Especially if you have a whole bunch of data slides to show. Your audience can suffer a famous death by PowerPoint 🙂. 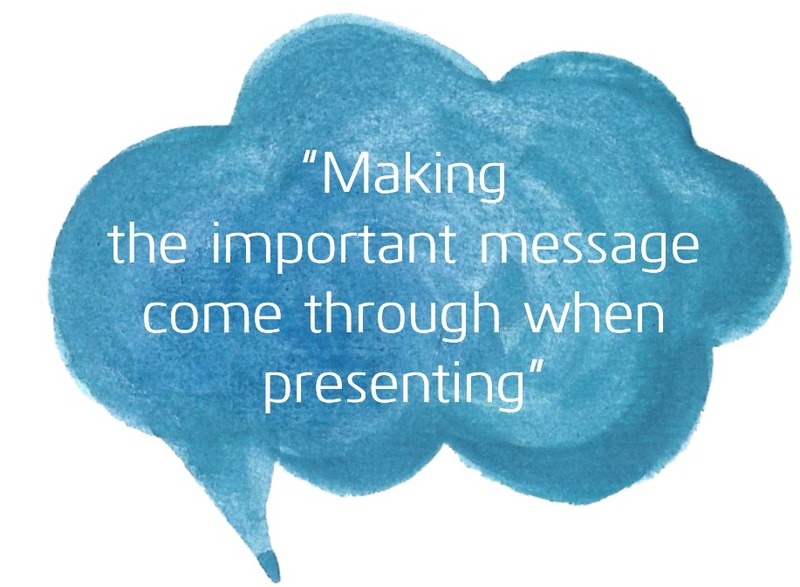 Fight it with good story-telling and professional design of your presentation. In case your tables are too dense to add any new graphics there, at least take care the cell margins are properly set – numbers are not too close to table borders. Consider removing table borders at all. This will improve readability of your financial slides a lot. Using shapes instead of plain text to illustrate events makes such timeline visually more attractive. 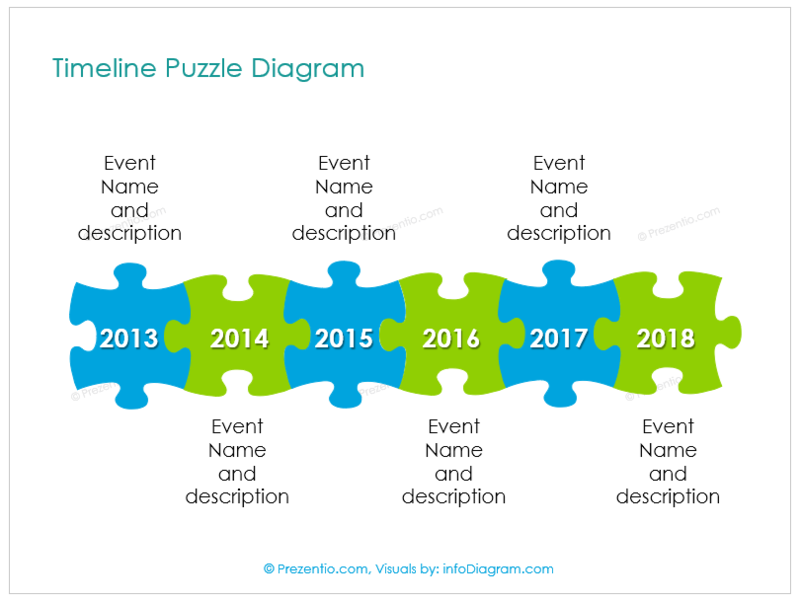 You can create timeline from puzzle shapes (read my article how to design such jigsaw puzzle yourself in PowerPoint). Finishing the presentation, make sure you will summarize what was done well and what can be improved. So your team is motivated to work on new challenges. See a few tips how you can make visually this message stand out on my LinkedIn post. I wonder which of the slides above are the most frequently used by you? Financial report? Key data slide? Timeline? PS. 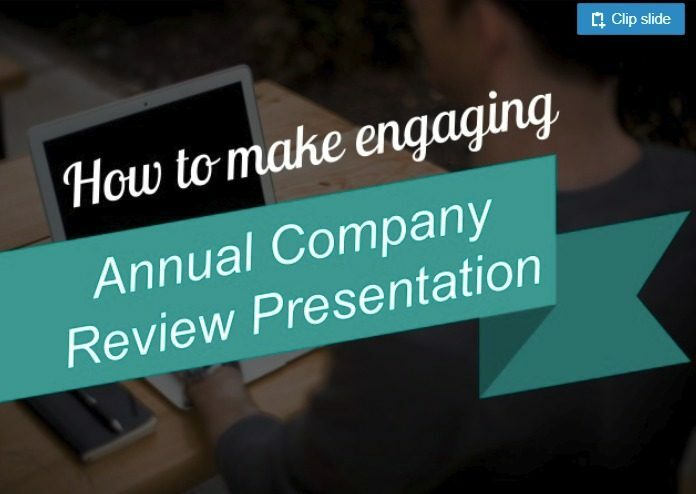 Need a help with your end-year presentation? I will gladly help with slide design – contact me here.